Obstructions that diminish the impact chiropractors have on their communities take many forms. Unfortunately, many practitioners don’t take the time to evaluate themselves and their practices. They don’t look at the things they've done, and the things they’ve failed to do. They don’t get a handle on what’s really working and what’s not. One thing they fail to do most frequently is take proper precautions with their technology. 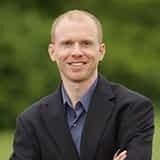 Dan McCoy has made it his mission to serve the chiropractic profession and to take on chiropractic offices' technology challenges throughout the entire United States. That's a big vision, and he has the infrastructure to do the job. Currently Dan’s company, TechSubluxation.com works with clients in 6 states across the US. 95% of the work they do can be done remotely to stabilize your computers and make sure you’re up and running efficiently and safely 24/7. In this episode, Dan answers questions about the vital areas relative to computer risk and breaches. You’ll learn how these dangers really cost you and your practice. What happens when you experience challenges with the tech in your practice also affects the care you can provide for your practice members and can hamper your ability to serve them to the best of your ability. Those challenges can also affect your ability to reach out to new prospective practice members, depriving them of the care they desperately need and affecting your ability to grow your practice and your revenue. What you learn in this episode will enable you to practice with greater peace of mind! 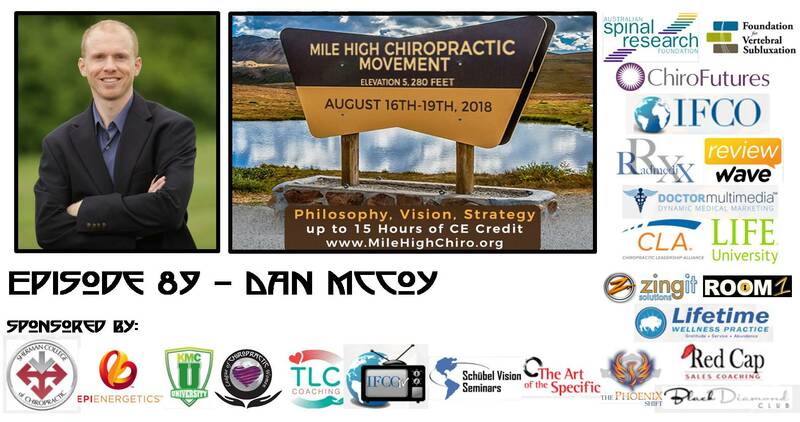 If you haven’t registered yourself and your team yet for Mile High 2018 in Denver, August 16th - 19th do it right now at www.milehighchiroregistration.com. You’ll learn from almost 30 awesome speakers, breakout sessions and panels, and you’ll enjoy meeting and trading thoughts with chiropractic teams from all over the world. You’ll also have a ton of fun at the dinners and parties and hanging out in the Colorado summertime! Question of the day: "What communities keep you on purpose and help fuel you? " Please let me know in the comments. What got you fired up to serve chiropractic and to take on the whole US? What are the top three mistakes? How do chiropractic philosophy and technology go hand in hand?